We're starting the monthly subscription box unboxings with Glossyboxy! Spoiler alert: there will be FOUR unboxings this month! Stay tuned right here to find out what the new subscription will be! The theme for this month's box is Stay Cool. I love mud and clay masks and I'm always happy to try a new one. This mask infuses skin with a powerful dose of probiotics for a fresh, clean nutrient-packed complexion. I did try this and I wasn't impressed with how my skin looked after because it looked the same, not brighter. I did feel slightly cleaner though. Also, this product became almost unbearably itchy as it started drying. I love gel eye pads, they are so cooling and moisturizing on my under eyes so I was glad to try these. While these felt great under my eyes, I didn't notice an improvement to the appearance of my under eyes. Perhaps you need to use it more than once. Travel size face washes will always come in handy so I was glad this was in my box this month. This particular face wash has a non-stripping formula that helps rebalance skin. This is a blush single to be added to the Doucce compact that we received in our July Glossybox. It's a really pretty pink shade. I was excited to try this brand new mascara from Lancome! I used this once so far and I really liked it. It gives a good amount of drama to my lashes. I can always use a clear brow gel so I was glad to receive one in this month's box. However, this didn't really tame my unruly brow hairs that well. 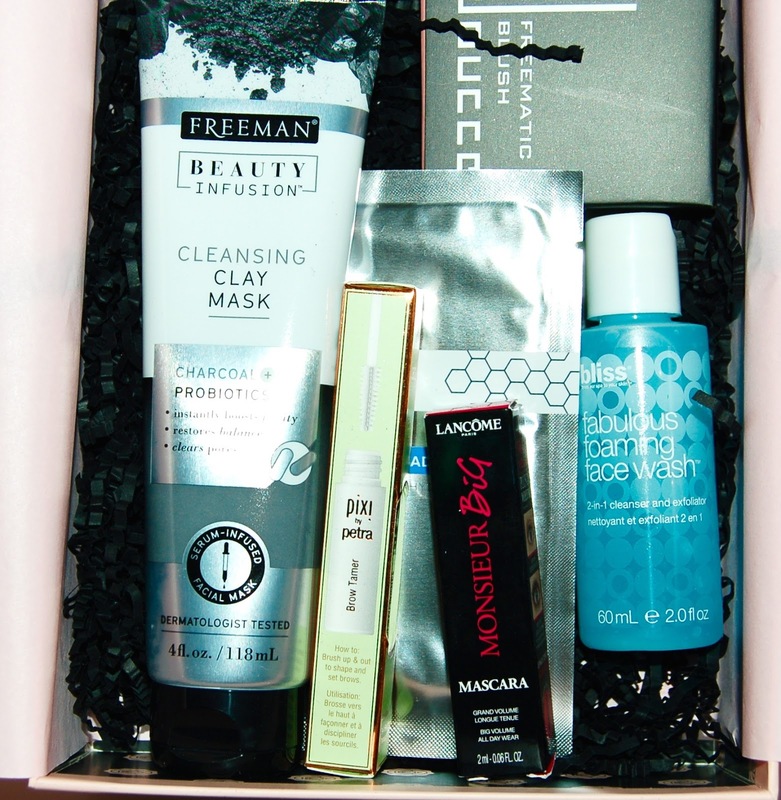 Overall, I though the August Glossybox was ok. Since I already tried a few of the products, I already know there were a couple of fails for me. I did love the mascara though. 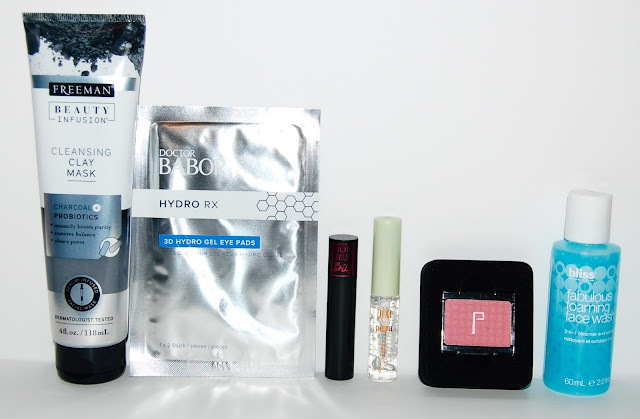 The total value of the items in this month's box is about $49 which is definitely on the lower side for Glossybox but it's still over 2 times the the cost of the box.